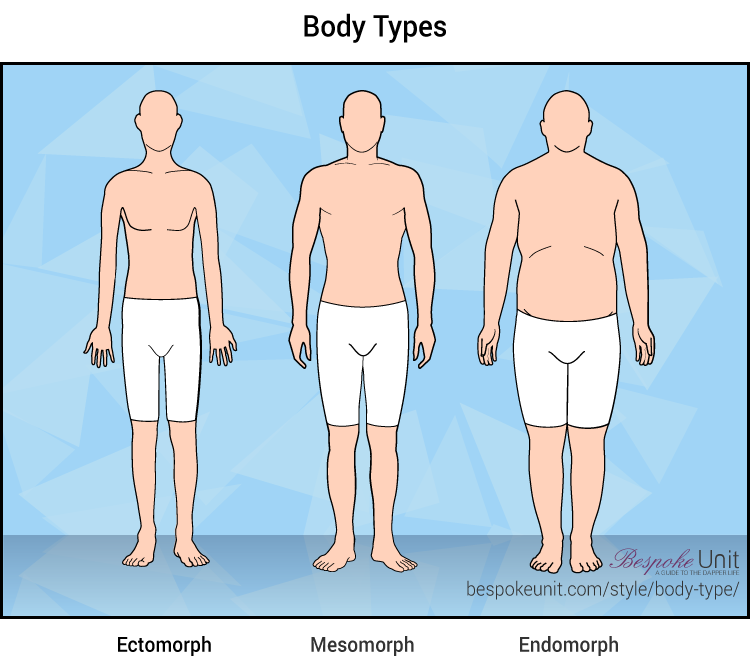 If you need help figuring out what body type best describes you, read on! Menswear is chock full of “rules” that theoretically apply to anyone wearing men’s clothes. Jacket sleeves end at a certain length, trouser waistbands hit at a certain point, and shirts fit in a certain way. This is wonderful in the hypothetical world, but practically speaking, it’s a different ball game. Not all men are created physically equal, and we have to account for different body types when we talk about getting dressed. To that end, we’ve put together a collection of articles that detail the ins and outs of various male body types. We have identified nine different body types and two body type modifications: Irregular and Athletic. Reading this article will provide you with the guidance you need to determine what your body type is, and from there you’ll be able to click on an article dedicated solely to your body type. You’ll receive suggestions around what to wear, typical sizes for your body type, and more. Our methodology was to use frame and height as base lines. We didn’t consider weight on its own as a metric. We took three typical height categories (tall, average, and short) and spread them across three different builds: average, slender, and heavyset. This created the nine body types. The athletic and irregular modifiers can be melded with any body type. Irregularities are random biological occurrences or perhaps the results of accidents. They occur in over 95% of men, so it’s highly likely that you will want to read that article in addition to the one for your body type. Athleticism occurs less often as it requires a lot of hard work to look athletic. Most body types can be subject to an athletic modifier, though it’s unlikely that someone would be Short & Heavyset with an Athletic modification, for example. Mike, a Short & Average body type. With three height categories and three frame (not weight) categories, you’ll be able to figure out where you stand pretty easily! A simple way to think of “frame” is to think of it as the proportional relationship between your height and weight. A guy who’s five feet tall and weighs 100 pounds is small-framed, and a guy who’s 6’4″ and weight 275 is large-framed. Though the following terms are mostly used in the bodybuilding world nowadays, there’s value in being familiar with them. They’re called “somatotypes,” and this is our foundation. Endomorphs: Large-framed bodies, often with a preponderance of fat. Has difficulty losing weight, gains weight easily. Mesomorphs: Naturally muscular bodies of medium frame. Gains and loses weight easily. Ectomorphs: Slight-framed bodies, typically skinny. Has difficulty putting on weight. You probably have a good idea where you fit in (pun intended) with this information. When it comes to menswear, we dive a bit deeper and break things down into height and frame categories, since we’re concerned with wearing more than a bikini bottom as bodybuilders do. The heights listed below are averages for North American men and that the words “tall,” average” and “short” are used objectively. We don’t think that tall guys are circus freaks, that short guys are puny wusses, or that average guys are boring and nondescript. Again, we did not use weight by itself as a body type metric. Though there is some overlap, weight is not necessarily a good indicator of body type as it relates to men’s clothing. Its value is good for determining how healthy you are, and the only standardized way to determine if you’re medically underweight, overweight, or normal is to use the BMI (Body Mass Index) scale. The problem is that BMI is a flawed system. For example, if you take two men who are 6’4″ and 275 pounds, they will have the same BMI. But one could be muscular, and the other obese. You can see how this doesn’t make a whole lot of sense as far as body type is concerned. The take-away: dress for your frame, not just your height or weight. Paul, a Big & Tall body type. There are also two ways that we can modify most of these body types: by designating them as either Athletic and / or Irregular. Chest and shoulders are noticeably wider than the hips. V-shaped torso, muscular arms, shoulders, abs and pecs. Causes difficulty when shopping for suits in particular. *Editors’s Note:* Though runners, cyclists, swimmers, and other such athletes are obviously athletic, we don’t refer to them as such here. This is because their body types don’t often present the same issues related to clothing as a more muscle-bound athlete, like an American football player or wrestler. All human bodies have some sort of irregularity. We have lots of body parts that come in pairs, so there’s inevitably a difference between them. Shoulder slopes can be uneven, one hip can be higher than the other, legs can be bowed, and much more. You likely have some kind of irregularity regardless of your body type. As such, we suggest you read our article on irregularities in addition to the one for your body type. You can simply click the link to any of the above-mentioned body types to read an article full of information on what you should wear to always look your best. As a reminder, getting dressed is as much an art as it is a science. 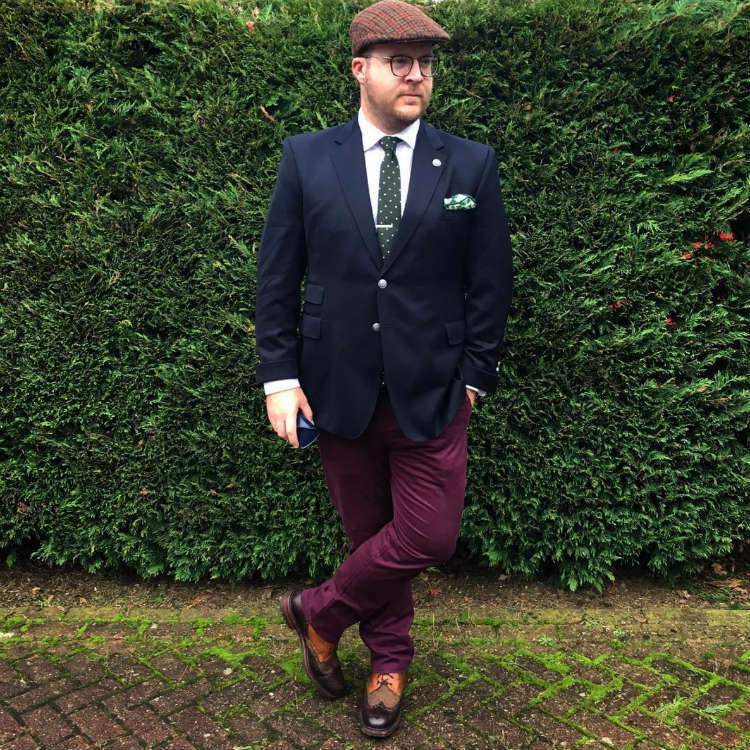 What you’ll see are, as Glenn O’Brien once said, not rules but “guidelines based on aesthetics.” Good judgement and a flair for style will enable a man to pull off a look that his body type says he shouldn’t, so don’t be afraid to experiment with things you like, even if they don’t fit into your mold. This is a really interesting question and thank you for sharing it. Firstly, is this any chance that this is a new condition that has happened since the suit has been finished? I ask as it might not be an oversight on the tailor’s part. I once had a slight sloping in the shoulder due to my sitting position at high school but an osteopath sorted it out and it’s not bothered me since. If you know of a good one in your area, it might be worth trying a session and maybe the problem could be corrected this way. Alternatively, if this was something you had at the time of sizing as well as fitting with your tailor, it’s something he should have picked up. 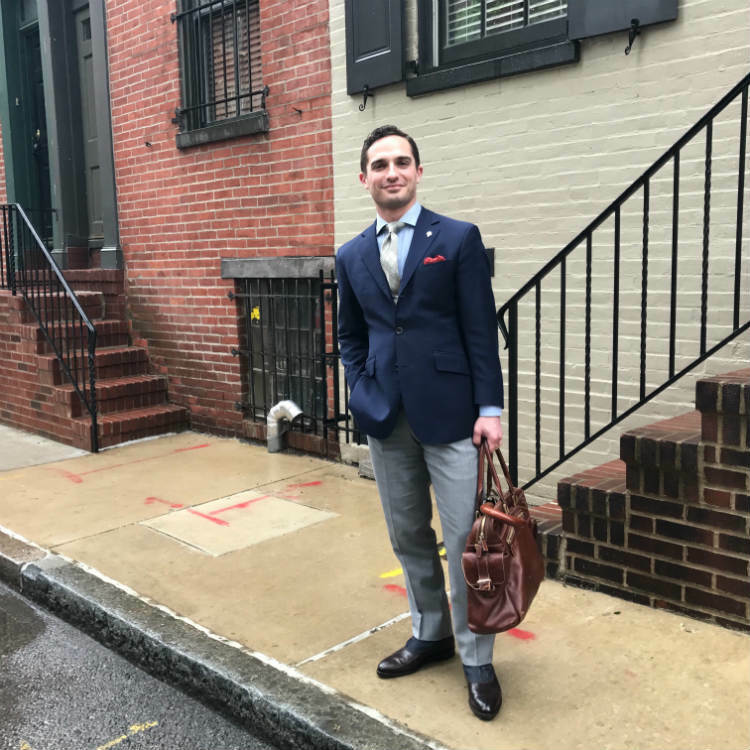 I wouldn’t hesitate or feel embarrassed about talking to him about it since the very reason we turn to tailor-made bespoke suits is that we get a true fit. If there are some issues like this, they ought to be addressed. As for what to get altered, it’s hard to say without seeing the issues but then again, I’m not a tailor. I would recommend that you ask him when you discuss it. Bring the suit with you so he can see it for himself! I compared with other set of pictures I took when I just got the suit finished, it didn’t have all the issues I mentioned before but my sloping shoulder is already a condition since long time ago. Another issue I forgot to mention is bowing on my left chest jacket, while the right side is fine with a nice drape, also no pulling on the waist button. So I’m still guessing whether the issue is because of slope shoulder or maybe I gained a little bit of weight recently. Anyway, I have scheduled for appointment with my tailor and let he advise. Thanks for all your suggestions, I just recently found out about this website and enjoy it a lot. Very thorough information with nice illustrations, keep up the good work. Hmm, it might be the weight gain or it might be a few oversights on the tailor’s part. I hope the appointement goes well. Let us know how you get on as we’re actually very interested! I visited my tailor yesterday. We decided to let-out the side seam for an inch, it should diminish the side vents pulling and adjust my lapel to lay flat.. the crumpling behind my neck issue actually is because too long which result dropping, so he will shorten it about 1/4 inch. It will be finished in a couple weeks, I hope everything will turn out perfect this time! Good to hear that the jacket’s being corrected. Out of curiosity, are you being charged for this extra work or is it being done free of charge? It’s free of course, though it’s been almost two months since my suit finished made. Maybe next time he will ask for a fee. That’s what I hoped but was curious so I hope you don’t mind my asking! Good to hear! Hi, I know it’s not the point of the article, but do you have any thoughts on how a woman’s body type would shop for a men’s suit? 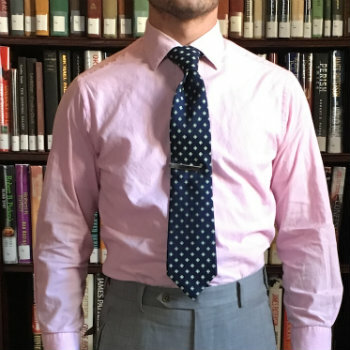 I’m queer and want to wear a suit to an upcoming wedding. Looking at the metrics above, I’d be average height (5’7″), and have a fairly fit build, but would obviously have to work with having chest and hips slightly wider than the waist. Sure, it might not be the subject of the guide but it’s a very interesting question and I’d be happy to help you out as best as I can. I think that a woman can’t just wear a man’s suit but can look great doing so! Sure, there might be some anatomical challenges but nothing that can’t be overcome. In my answer, I’ve included some links to related guides, which might help you with some details. My first question is when will the wedding take place while my second would be whether you’ve thought of your budget? Basically, do you have time to either get an off-the-rack suit and do any necessary alterations? If the answer is yes, this leads to my second question, which is whether you’d have the budget for a made-to-measure suit? The advantage of this would be that the suit is made purely for your measurements. You can see some of the budgets in our online made-to-measure brands guide. Some will set you back as little as $270 while others can cost as much as $700 but we’ve tried to cater to all budgets. If the answer is no, then you’d probably be able to wear off-the-rack. I recommend that you find an outlet that allows you to buy the jacket and trousers separately. The jacket is the hardest to alter so it’s best to find one with a chest size that matches yours. Although it’s a wild guess, you might be close to the 36″ Short range at 5’7″. Meanwhile, trousers are comparatively easy to alter so get the best fitting ones and then see a tailor to get them adjusted for you. I hope this helps! Don’t hesitate to come back to us if you have any more questions. We’d also love to hear how it goes and what solution you opt for in the end! It’s very hard to sell suits online which, in a way suits my business. But this year I would like to give it a go here in Australia. With the help of your fantastic body size chart at the beginning of this blog, which really impresses me, This will allow a person to select their body shape and then marry it up the selection of suit available. I feel that it will have a 90% chance of fitting them with a few minor adjustments to the outside leg and the sleeve length. Could I have your permission to use this chart as a guide to selecting their shape to help in presenting suits that will best suit their shape and narrow down any mistakes in size selection? I’m happy to pay off course. If you could respond to this request it would be much appreciated. As yet I do not sell suits online but show the stock that is available instore. As long as you give us the credit, you’re welcome to use the original and unadulterated image! Thanks, CP, Much appreciated your response. Certainly, give you the credit along with a link to your website.